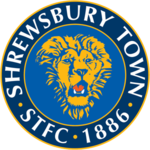 Shrewsbury started to look like a serious promotion contender. Despite just one point noticed in last two games (Wycombe 2-2 and Port Vale 0-1, both away), their performances are over the results. And a defeat against flying Port Vale is not something that can seriously damage confidence at Greenhous Meadow. At home, they look pretty impressive with 3 wins and a draw of 4 games, adding on that a win against Charlton in Carling Cup. Manager Graham Turner will miss striker Kris Bright, while midfielder Sean McAllister will face a late fitness test. Another striker Tom Bradshaw and ex-Leeds youngster Cansdell-Sherriff should be fit for the game. Torquay made an impressive start of the season with all wins in opening four rounds. They’re the only team that defeated Port Vale so far and their good game and a Cup draw against Reading should be mentioned. 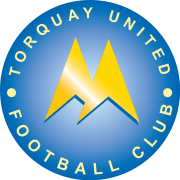 However, after those wins Torquay started to lose the fuel as they noticed five games without a win (two draws, three defeats), scored just twice in those five and made two consecutive home defeats in previous two rounds. Manager Paul Buckle asked his boss for more money to “build on positive start”, but got a slap over the mouth with the official club’s statement that club has no more money. Bad timing at least. Defender Mark Ellis should be fit, while midfielder Damon Lathrope will be sidelined after the knock in a midweek game. Two opposite trends here. Shrewsbury are in a very good shape and have League One ambitions. Their good performances should convert into winnings. On the other hand, Torquay are in a serious downtrend and it looks their season is already over. I expect a tight affair, but home win at the end. 1-0 correct score.